Apple's press event today in Cupertino, CA included new and upgraded subscription services in many entertainment sectors. Eventually when they'll all be live and you'll subscribe to every one of them, you'll be likely using a credit card. Thankfully, Apple has that covered as well. They announced today a new credit card called the Apple Card. The credit card is an extension of Apple Pay payment system, and is developed in partnership with Goldman Sachs. However, the card isn't a traditional credit card you carry around. In fact, Apple says it doesn't have many unwanted features of current cards, including late fees, annual fees, international fees or over limit fees. Furthermore Apple promises what they call "lower interest rates," but there are no actual figures yet. Apple also said that privacy will be a key factor in this new service as well, and they won't collect data on what you purchase and where. 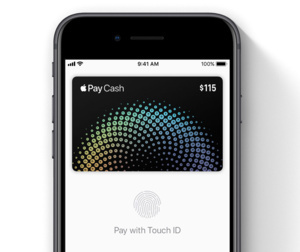 The card doesn't have a credit card number, you don't have to remember the CVV security code or expiration date, and signature is not required as Apple Pay relies on Face ID and Touch ID. There's a 2 percent cashback for regular puchases and 3 percent from Apple, both of which are deposited straight into your Apple Pay account (as Apple Cash) to be used in future purchases. There's one issue though, the seller must support Apple Pay since Apple Card is a part of the payment system. Fortunately most of the mainstream stores are equipped with Apple Pay supporting registers, but one could argue it still can't replace the traditional credit cards. The payments are processed by MasterCard.